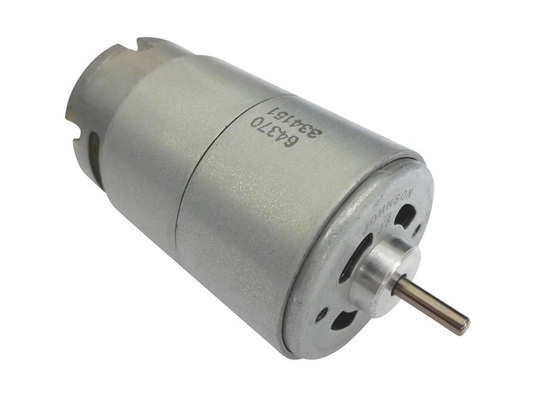 This is a high power '600' type motor (36mm diameter body, 3.17mm shaft, slightly longer than '550' type motors) suitable for operation at between 3V and 12V DC. The motors are usually found in cordless drills running at a nominal 9.6V but operation at 12V is possible so long as the load and duty cycle are not too high. 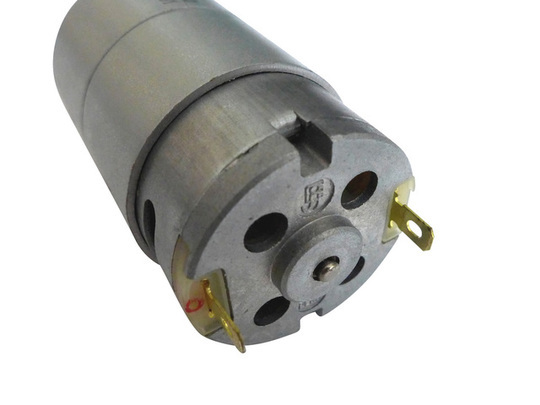 The motors will draw a high current and so you should ensure that the power source and control hardware that you are using can withstand this. 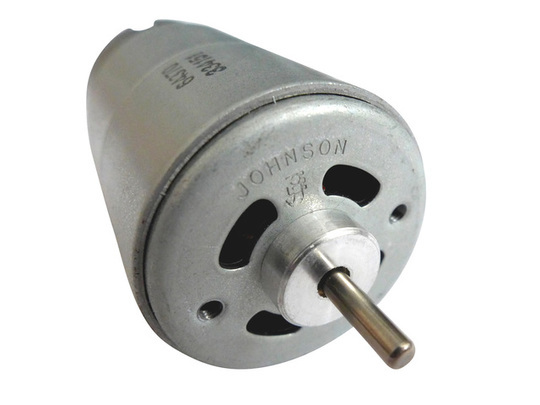 As with any DC permanent magnet motor this motor will exhibit different characteristics depending upon the voltage (and current) applied to it. To change the rotation direction swap the polarity of the current to the motor tabs. The copper motor tabs are 4.8mm wide male spade connectors, which are easy to fit 4.8mm female spade connectors to or to solder on to. An option is provided for two 500mm silicone-insulated power leads to be supplied ready-soldered to the motor. The motor features a built-in cooling fan, which due to the high power output of the motor is essential for cooling (and so the two air vents should not be covered). Do not allow the motor to stall as it is likely to overheat quickly. Be aware that the motor is capable of high torque output but the current can easily exceed 40A-50A under load and could hit 80A if stalled at 12V. Ensure that stall situations are prevented by using either a fuse or current limiter in series with the motor.